Mary Jo Putney A New York Times, Wall Street Journal, and Publishers Weekly bestselling author, is a graduate of Syracuse University with degrees in eighteenth-century literature and industrial design. 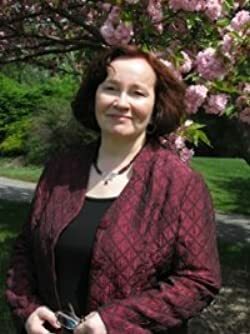 She has won numerous awards for her writing, including two Romance Writers of America RITA awards, four consecutive Golden Leaf awards for Best Historical Romance, and the Romantic Times Career Achievement Award for Historical Romance. Ms. Putney lives near Baltimore, Maryland. She writes young adult novels under the name M.J. Putney. We are presenting her romantic fantasies. You can read excerpts at Mary Jo Putney’s website. Dark Mirror — (2011-2012) Young adult. Publisher: Lady Victoria Mansfield, youngest daughter of the earl and countess of Fairmount, is destined for a charmed life. Soon she will be presented during the London season, where she can choose a mate worthy of her status. Yet Tory has a shameful secret — a secret so powerful that, if exposed, it could strip her of her position and disgrace her family forever. Tory’s blood is tainted… by magic. When a shocking accident forces Tory to demonstrate her despised skill, the secret she’s fought so hard to hide is revealed for all to see. She is immediately exiled to Lackland Abbey, a reform school for young men and women in her position. There she will learn to suppress her deplorable talents and maybe, if she’s one of the lucky ones, be able to return to society. But Tory’s life is about to change forever. All that she’s ever known or considered important will be challenged. What lies ahead is only the beginning of a strange and wonderful journey into a world where destiny and magic come together, where true love and friendship find her, and where courage and strength of character are the only things that determine a young girl’s worth. Click here for more stories by M.J. Putney. M.J. Putney, a.k.a. Mary Jo Putney, is a well-known author of romance novels. In Dark Mirror, Putney makes her young adult debut. 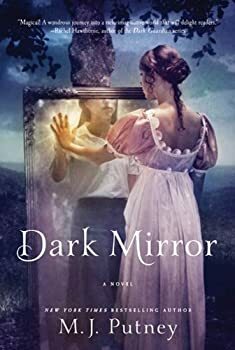 Dark Mirror is a blend of fantasy and historical romance set in an alternate history in which magic exists and is legal, but is considered gauche, fit only for the lower classes. Guardian — (2004-2005) Publisher: Laird of an ancient, powerful Scottish clan, Duncan Macrae is committed to ending the ceaseless strife between Scotland and England. But he also has other, secret powers — those of a Guardian, humans with mystical abilities to control nature’s forces and see into the hearts of others. And from the moment he encounters the young and independent English widow Gwyneth Owens, his fiery spirit is irrevocably drawn to claim her as his own — a passion that will not only set his loyalty to his land against his sworn Guardian vows, but will also threaten everything he cherishes most. Though Gwynne’s father was a Guardian, she believes that she has inherited only her mother’s beauty, not her father’s power. Then one kiss from the dangerously alluring Laird of the Macraes ignites a hunger that shakes her to her soul — and reveals visions of a looming catastrophe that threatens England and Scotland both. Only by becoming Duncan’s wife, and ultimately betraying the man she loves, can she avert disaster. As destiny and two mighty nations clash, Gwynne and Duncan must push their powers and passions beyond the most forbidden limits if they are to save their love — and secure the future. Stone Saint — (2006) Mary Jo Putney plans to write more Stone Saint novels. A related short story is in the Dragon Lovers collection. Publisher: One of the Duke of Wellington’s most respected officers, Jack Langdon, Lord Frayne, takes his family’s honor very seriously. He also hides a shameful secret: a talent for sorcery he has been raised to suppress and openly reject. 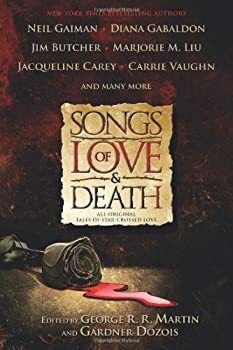 But after an injury lands Jack at death’s door, his only chance at survival lies with Abigail Barton, a peer’s daughter and a skilled wizard. Her price: Jack’s hand in marriage. It isn’t long before Jack feels an irresistible attraction to his forthright new wife, whose allure is as intense as the reawakening magical abilities he can no longer deny. Abigail had to make a great sacrifice to perform a spell powerful enough to save Lord Frayne, and although she cannot help but be drawn to her reluctant husband’s surprising sensitivity and kindness, she knows all too well his distaste for magic. Once she has Jack’s name and the child she has always longed for, she is determined to live apart from him so that he can preserve his reputation–and so that she herself can stay true to her gifts. But neither Abby nor Jack reckons on the deep, long-simmering passions her spell ignites. They challenge each other’s extraordinary powers and deepest desires for the sake of a love that may cost them all they cherish most. CLICK HERE FOR MORE NOVELS BY MARY JO PUTNEY.